Have you ever run in a race while eating donuts? Or what about a 10K followed by a wine-filled after party? For serious runners and those looking for a little fun, we’ve got all sorts of races in Alabama. Not only will you get in a great day of exercise, but you’ll also have a blast doing it. Here are the 10 best road races in Alabama. 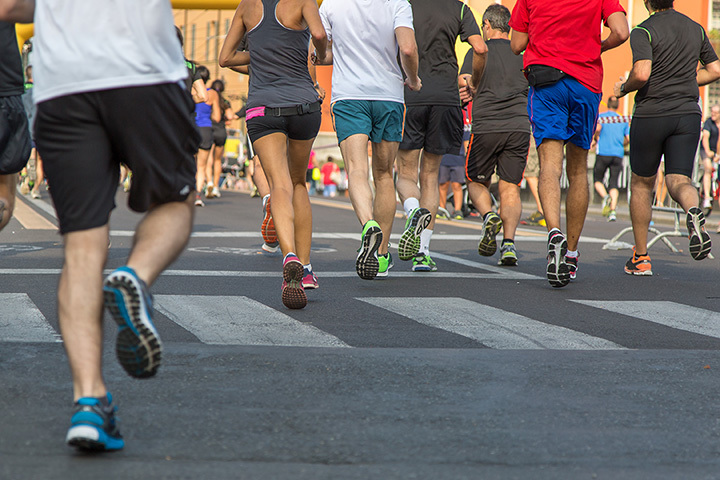 This annual running event hosts a half marathon, 10K, 5K, and fun run. Trot through the streets of Auburn and spot all of your favorite Tiger sites. What could be more fun? This run is a part of the Alabama Rivalry series of runs in Tuscaloosa, Birmingham, and Auburn. Wish you could live back in the daring days of bootlegging? Now you can! Take a step back in time to the 1920s Prohibition Era and race through the backcountry. The run takes place at night to give the ambiance of bootleggers experienced, and leads to a campground where you can enjoy moonshine and music. If you truly love the great outdoors, then you will enjoy the Tranquility Trail Run. Featuring three-mile and six-mile runs, the trail takes you through the beautiful Oak Mountain State park. Enjoy the scenery and then have some post-race fun! Love running and crawfish? Why not enjoy both at the Zydeco Crawfish Festival 5K! Run through scenic Gulf Shores and enjoy a fun day of post-race fun that is perfect for the whole family. This run is both fun for runners and spectators alike. Enjoy a trot through T-town as you pass through the university’s beautiful campus and the quaint downtown. This race is also a part of the Rivalry Series. This race adds an element to the run that people will enjoy: Wine! The 10K event features cash prizes and a wild after party you’ll never forget. The Shoals run takes you through the lovely Robert Trent Golf Courses in Muscle Shoals. The event is a lively day filled with fun activities for both runners and spectators. This event features 100-mile, 50-mile, 27-mile runs and fun runs. The trails take you along the scenic Lake Martin and lead you to a post-race event filled with hot chocolate and recovery drinks. If you’re looking for a great run before the heat hits, this is the perfect run for you. Celebrated every year in a different city, the MLK Drum Run celebrates the spirit of Martin Luther King, Jr. This year, the run will be hosted in Birmingham, the run will take you through the Civil Rights District. View more Alabama Road Races.